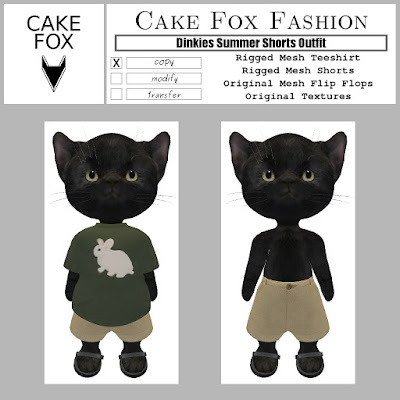 Summer outfit for dinkies. Original bunneh drawing on the teeshirt. Original textures. Original mesh flip flops. Rigged Mesh teeshirt and shorts. New release up for SWAG this weekend for 50L$ at Cake Fox SWAG.